The Ninth Judicial District Commission on Judicial Performance unanimously recommends by a vote of 10-0 that Judge Jonathan Bruce Pototsky BE RETAINED. 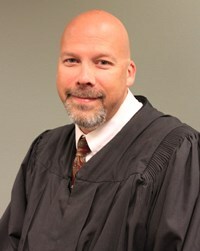 Judge Pototsky took the Bench December 1, 2010. He graduated from the University of Miami 1987 with a Business Administration Finance degree, followed by a law degree in 1991 from the Thomas M. Cooley School of Law. He served as a Public Defender in Michigan until 1994. Subsequently, he worked in private practice, specializing mainly in defense work, until he moved to Colorado in 2008 to work as a Deputy District Attorney in the Glenwood Springs office of the Ninth Judicial District until his judicial appointment. He was the first defense attorney to receive the Every Woman’s Place award from the Victims’ Shelter in Michigan. Locally, he has revived Rifle High School’s Mock Trial program and was recently recognized as Volunteer of the Month by that school. Some commissioners observed Judge Pototsky in Court; commissioners reviewed his self-evaluation; read three of his written opinions; conducted a personal interview; and studied survey results representing responses by 71 attorneys and 115 non-attorneys (court staff, litigants, criminal defendants, law enforcement officers, and jurors) who had dealings with the judge or were familiar with his work. Of attorneys surveyed regarding retention, 94% recommended to retain, 1% recommended not to retain, and 4% made no recommendation. Of non-attorneys surveyed, 85% recommended retention, 10% recommended not to retain, and 6% made no recommendation. (These percentages may not total 100% due to rounding). Judge Pototsky received consistently high ratings from both groups within the survey results. Respondents described him as articulate, patient, intelligent, diligent, professional, fair, timely in issuing rulings, giving clear explanation to lay persons, and treating all equally. Some suggested he shows a bias toward the prosecution. In his personal interview Judge Pototsky emphasized an enthusiasm and dedication to his service.